Thanks to swift reaction by Pilot Crushtec International, a coal mine in Mpumalanga was able to significantly increase its output by adding an extra shift to its opencast operation. 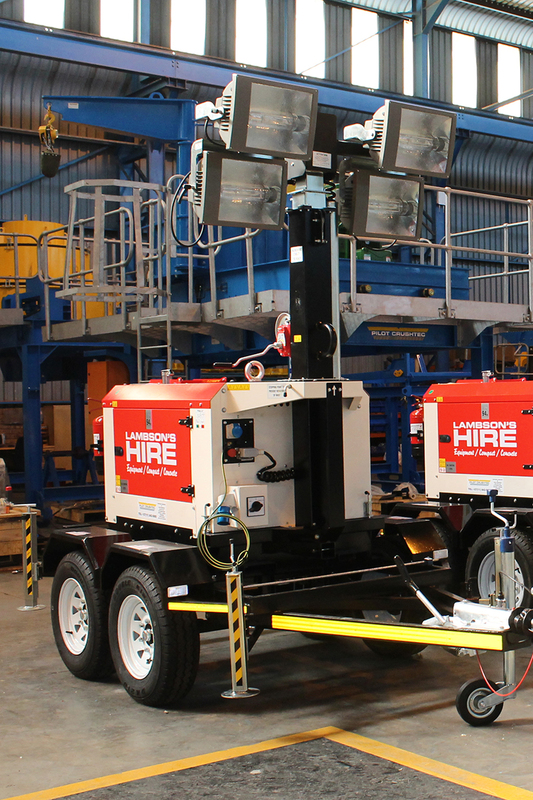 The catalyst which made this possible was the ability of Pilot Crushtec International to provide a number of its Generac TowerLight systems to equipment hiring specialist Lambson’s Hire at very short notice. Pilot Crushtec International CEO Sandro Scherf explains: “Lambson’s received an urgent request from its customer for seven sets of high-power lighting systems and we were able to provide an immediate response. We maintain a strategic stock of these products and were able to supply them in Lambson’s distinctive house livery,” he says. The product in question is the Generac VT8 which is equipped with four 1,000 watt metal halide floodlights. Each individual unit is capable of illuminating an area of up to 4,200m². 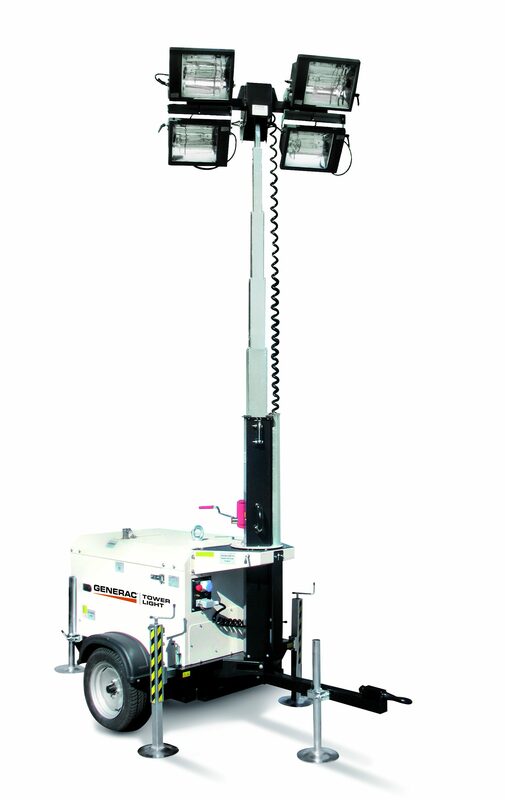 Generac Tower Light VT8 has four metal halide lights fully capable of illuminating an area of up to 4,200m². According to Scherf, Lambson’s inspected the products and found their quality and pricing to be highly competitive. The timeline for the supply of the Generac TowerLights is impressive as the original enquiry was received on 6 April, orders placed on 9 April and delivery executed on 22 April – finished in the Lambson’s distinctive red and white branding. Lambson’s CEO, Devin van Zyl, was impressed by Pilot Crushtec International’s rapid and detailed response. The company, which is a leader in the hire industry with 14 branches and 2 specialised divisions in Gauteng, Mpumalanga and the North West provinces, had yet to receive a response from other local sources of supply, and the alternative would have been to order units from overseas, thus delaying its customer’s expansion plans. “The service we received was excellent right from the original enquiry. Pilot Crushtec International really came to the party by being able to deliver on time and to our specifications. Our customer is equally happy with the sturdiness of the Generac product and its lighting performance,” says van Zyl. Pilot Crushtec International assisted Lambsons with their request to spray the tower lights in their distinctive red and white branding.